The hemispheric long wave pattern has remained stable in recent weeks. There are six main troughs. Currently the most significant troughs are near the longitudes of South Africa, the southwest Indian Ocean, the Indian Ocean, eastern Australia, the south Pacific, the southeast Pacific, South America, and the Atlantic Ocean. 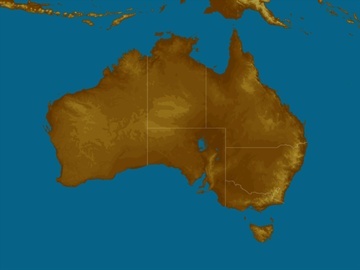 Over southern and eastern Australia the cold front events with potential to bring widespread rain are now expected about 1 May to 5 May, 13 May to 17 May, and 21 May to 25 May. Rain events originating in the tropics and moving south are possible about 18 April to 22 April. 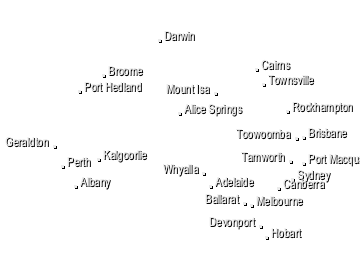 Over Western Australia the strongest cold fronts should occur about 2 May to 6 May, 13 May to 17 May, and 21 May to 25 May. This forecast is produced by a multi-model ensemble consisting of dynamical atmospheric models, which are forced by the latest observed atmosphere, ocean, land and ice conditions. The models are designed to simulate features of the real atmosphere, including the daily movement of long and short wave patterns in the Southern Hemisphere. The future probability of rain in each district is estimated using output from the multi-model ensemble, combined with historical information about the difference between the model forecasts and observed rainfall. In this deterministic framework the skill of the forecast tends to decrease with time, however the forecasts are updated daily to provide the latest estimates of rainfall probability out to 28 days.